Providing optimal oral health through excellence in restorative & preventative care. The Mark Dental’s highly qualified dentists, Dr. Michael McEachern and Dr. Brian Strukoff, have built up over 50 years of dental experience between them. 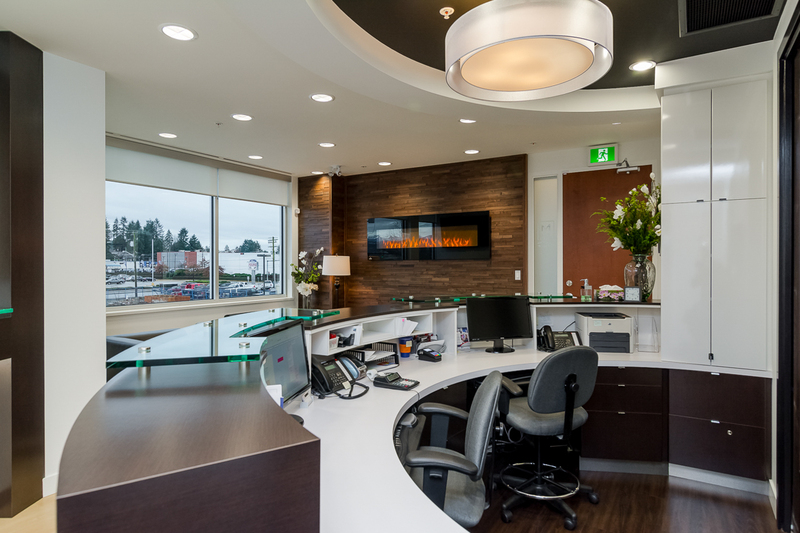 Dr. McEachern began as an associate dentist in our former location with Dr. Barry Dunn after graduating from UBC Dentistry in 1994. Dr. McEachern took over the practice in 1997, and in 2002 Dr. Strukoff joined Dr. McEachern in practice, bringing his own expertise in orthodontics and Invisalign. To incorporate the latest technology in our practice. To respect our patient’s time. To create a fun and relaxed work environment. To provide comprehensive treatment options to our patients. Over the years, we have kept the practice up to date by incorporating the latest technologies such as digital x-rays, a Diode laser, particle abrasion and dental photography. Together, Dr. McEachern and Dr. Strukoff manage complex cosmetic cases, among other dental treatments, including bridges, crowns, fillings, extractions, teeth whitening, migrain prevention and more. We also offer a full range of top-of-the-line athletic mouthwear. Dr. McEachern grew up in Langley, BC and attended Mountain Secondary School where he was involved in athletics including rugby and volleyball. After four years at SFU studying Kinesiology, he was accepted into the Faculty of Dentistry at UBC and graduated in 1994. Dr. McEachern began his dental career as an associate dentist in our former location at Ellwood Centre under Dr. Barry Dunn. He took over the practice in 1997 and Dr. Brian Strukoff joined him in 2002 as his associate. Dr. Strukoff graduated from UBC in 1979 and started his own general practice in Chilliwack, BC. He has been active in both local and provincial dental associations for over 35 years, serving and chairing many committees. Dr. Strukoff has also continued to learn throughout his career and he has studied all aspects of dentistry at locations throughout Canada and the United States. He lives in Abbotsford, BC with his wife Sherry. On occasion, he can be seen struggling through a workout at a local gym. Our team is made up of highly qualified and client-focused professionals, who are dedicated to patient care. They are long term employees who are committed to staying up to date through continuing dental education.